Kadenang Ginto: Golden Opportunity or Golden Letdown? Why GMA 7 Lacks a Sports Division? There was a time when late-morning teleseryes on television were a thing in this decade. It started in 2012 when the unlikely pairing of Jodi Sta. Maria and Richard Yap took off with ‘Be Careful with My Heart’. The series became an immediate hit, reaching ratings of as high as 27%, and ran for over two years. From then on, ABS-CBN kept the wheel rolling, airing either romantic comedies such as ‘Oh My G!’, ‘Be My Lady’ and ‘Sana Dalawa ang Puso’ or kid-oriented tear-jerkers like ‘Ningning’ and ‘Langit Lupa’. ABS-CBN even tried to get serious for once with the triathlon-themed ‘Ikaw Lang ang Iibigin’. But in the past several months, late-morning dramas began to lose viewer interest. 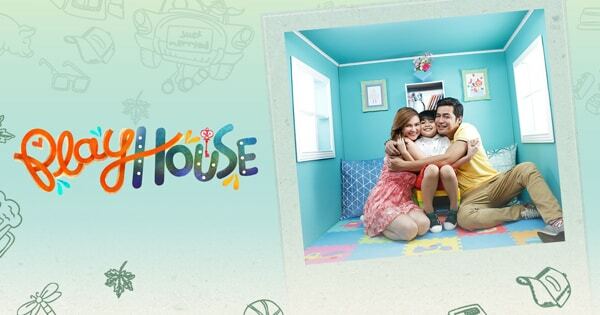 By August, ‘Sana Dalawa ang Puso’ slumped to around 13-15% in the ratings (this despite having Jodi and Richard in the series), and this decline only continued through its successor ‘Playhouse’. Over on GMA, the network already waved the white flag at the start of the month. Their most recent local late-morning drama, ‘Kapag Nahati ang Puso’, was cancelled last November 2, and after only two weeks, GMA moved the Koreanovela ‘Woman of Dignity’ to an earlier timeslot due to poor ratings. Prior to that, GMA tried to counter ABS-CBN with their own dramas that were either self-produced or under the TAPE Inc. production team. Unfortunately for GMA, each of their dramas backfired, with the likes of ‘Ang Forever Ko’y Ikaw’ and ‘My Guitar Princess’ ending after only two or three months. While ABS-CBN continues to claim victory over this timeslot, the declining ratings of ‘Playhouse’ is something that should cause a lot of concern to the network. If the 13% ratings are of any indication, then there must be something wrong. Either that viewers are getting tired of watching too much of the same thing, that the story in itself lacked substance and originality, that the cast is boring, or that they just can’t wait for ‘It’s Showtime’ to start. Whatever the case, it is up to ABS-CBN to regroup and see what needs to be corrected. It is too early to tell if this will spell the end for Filipino late-morning dramas. That said, one can only hope that a turnaround in fortune is imminent, but if this spell continues, then a programming reboot is necessary. Only T5N does that, expect that it’s not an actual newscast but more of a public service show. Anyway, noontime newscasts are redundant as far as the two South Triangle networks are concerned since they already deliver the news in the morning, primetime and late night. I guess it’s time they should go back to what they did back in the 2000s: airing a game show before noon. IMO, they’re more interesting to watch than teleseryes, pampagising pa.
You’re right since Playhouse isn’t exactly a world-beater now. Besides there’s just too many of them that viewers could get tired of it.